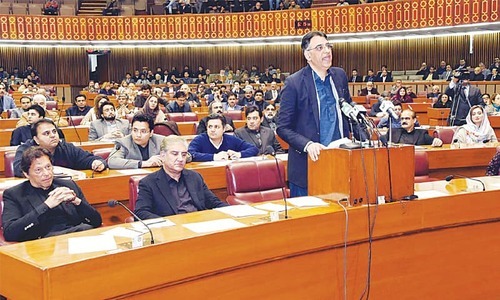 ISLAMABAD: The opposition staged a walkout from the Senate on Wednesday as a mark of protest against laying of the second money bill in the house by Minister of State for Revenue Hammad Azhar, instead of Finance Minister Asad Umar. 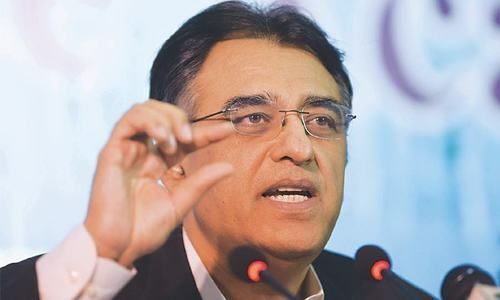 The minister of state for revenue laid the bill in the house after Senate Chairman Sadiq Sanjrani rejected the opposition’s definition of the term ‘collective responsibility’. When the minister of state was on his feet to lay the bill in the house, Raza Rabbani of the Pakistan Peoples Party (PPP) sparked the controversy saying that it had been a tradition that the finance minister himself presented the money bill in the Senate. “The minister is present in the building but is not coming to the Senate. This is breach of privilege of the house,” Mr Rabbani said. The PPP leader said that Article 91(6) comes in into play when the finance minister is not present. 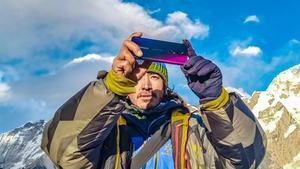 “Here the case is different. The minister is present just across the hall, but is not ready to come here to lay an important document”. He said amending the finance bill for a third time was a flagrant violation of Article 160 that deals with the distribution of revenues between the federation and the provinces under the National Finance Commission (NFC) award. He said new taxes were being collected but were not being disbursed to the provinces under the NFC award. Mr Rabbani read out the definition of responsibility from Black’s Law Dictionary and said it means answerability and accountability. He also threatened to move a privilege motion against the finance minister. Leader of the Opposition in the Senate Raja Zafarul Haq endorsed the view of Mr Rabbani and said: “We are bound to follow the Constitution.” He referred to Article 80 of the Constitution which only talks of a single annual budget leaving no room for mini-budgets. Mr Haq said there was a purpose behind the constitutional provision as frequent budgets cannot bring economic stability and only create confusions. 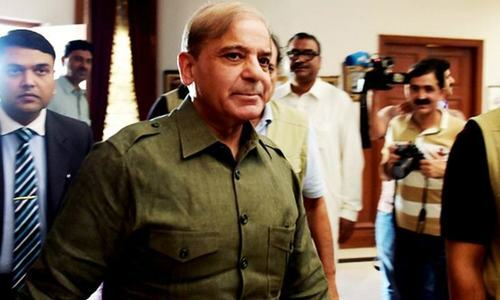 “This practice in fact manifests lack of vision and will send shock waves to the already scared common man.” He stressed that the finance minister should have personally come to the house to lay the money bill. Leader of the House in the Senate Syed Shibli Faraz, while rejecting the opposition’s objection, said there were no legal obstacles in laying the money bill by another cabinet colleague. “This is what collective responsibility is all about,” he remarked while using the same Article 91 (6) in his defence. He used the opportunity to criticise the opposition for the current state of economy. “We inherited an economy in bad shape. How can you dissociate yourself from the problem that is your own creation?” he questioned. 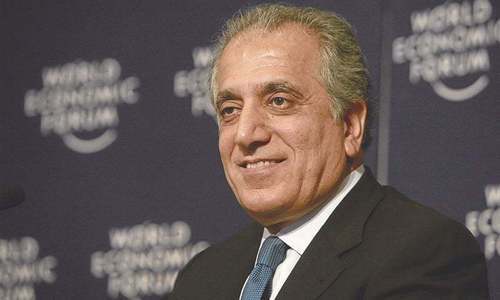 Mr Faraz gave credit to Prime Minister Imran Khan for accepting the challenge by inheriting an economy in shambles and successfully managing to avert immediate crisis with the help of friendly countries. He said the conditions of the International Monetary Fund would have been very tough had the option been explored. He said the country was moving in a positive direction and was destined to achieve stability, progress and development. “This country belongs to all of us,” he stressed and asked the opposition to desist from creating stumbling blocks in the way of a government struggling hard to set things right. He said any minister could lay a copy of the money bill under the rules. Chairman Sanjrani upheld the position taken by Mr Faraz and allowed Mr Azhar to lay the money bill. 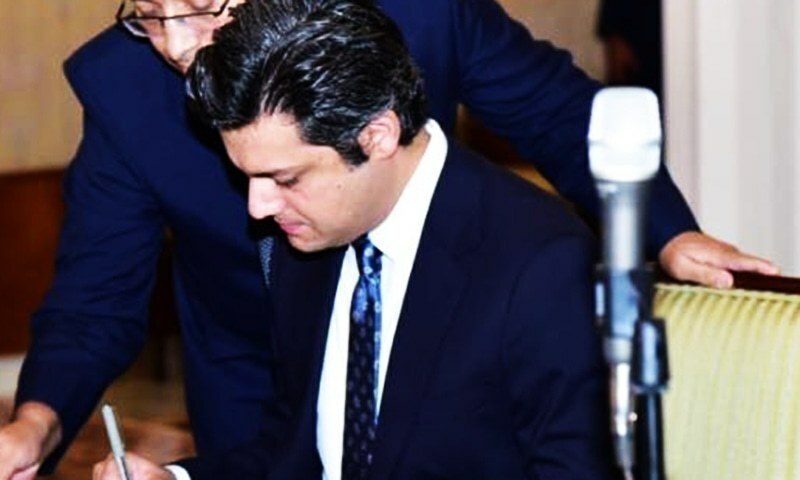 Minister for Water Resources Faisal Vawda informed the house that the delay caused by rebidding of the contract for construction of Mohmand dam would only escalate its cost. He said under the rules it was not a single bidding as 28 parties had obtained the documents and five of them submitted the tenders. He said the contract had not yet been awarded and only the financial bid had been opened. He said only the two companies left in the run before the opening of technical bids would come in the rebidding and said others did not have the capacity. Earlier, PPP’s parliamentary leader Sherry Rehman termed the award of over Rs 300 billion contract to the company owned by Advisor to Prime Minister on Commerce Abdul Razak Dawood a classic example of conflict of interest. She claimed that the Public Procurement Regulatory Authority rules had been violated by picking up a single bidder to award the contract. Asad Umar wilts to easily under the slightest Public scrutiny. Walk out upon walk out upon walk out is the modern history of Pakistan.